Thank you kindly for your donation. Some were received with neither an email nor a snail mail address, which prevents us from sending you a tax receipt. Please rectify if you think it necessary, either by eMail at operaguildofrochester@gmail.com, or by snail mail at Opera Guild of Rochester, P.O. Box 92245, Rochester, NY 14692-0245. TO THOSE WHO WISH TO DONATE ONLINE: The on-line donation capability is now functional. You may use it on our Website at http://operaguildofrochester.org/donate.html Thank you for your patience while we enabled this new feature. Sondheim Review: "You're Gonna Love Tomorrow"
Eastman School of Music Kilbourn Hall at 7:30 p.m. on Thursday, November 3, Friday, November 4, and Saturday, November 5; with a 2 p.m. matinee on Sunday, November 6. Pre-performance lectures will be given one hour earlier in the School's Ray Wright Room (Room 120). Reader Article by Stephen Carr. Semyon Bychkov conducts rising stars. Vittorio Grigolo, Sonya Yoncheva and Thomas Hampson. On each of four Sunday afternoons in January the Opera Guild presents an opera on DVD on the big screen, with an introduction by a Guild speaker. Refreshments are served at the intermission. The glamour of Imperial Vienna is captured in this 1971 film with Rene Kallo leading the cast. The public is invited. If you received a flyer, registration is appreciated. A donation of $9 per person is requested. A young woman is charged with caring for two children in an isolated, enormous manor house. Is she being challenged by two malevolent spirits for control of her wards? Or is she descending into paranoia? 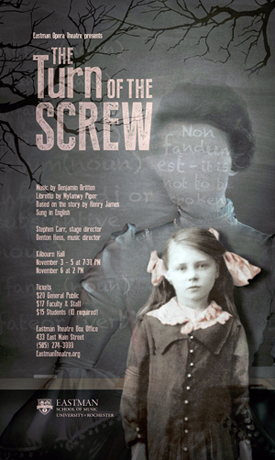 The questions are left unanswered in The Turn of the Screw, Benjamin Britten's dark opera that will be presented by Eastman Opera Theatre November 3 through 6. The piece walks a fine line between a traditional ghost story and a tale of mental instability. It's deliciously ambiguous, and the production fully embraces that. Britten's 20th-century opera is based on Henry James's famous 19th-century novella and there are other themes that appear in the work. James's insistence upon ambiguity was itself a critique of the Victorian mentality of his time, when issues of good versus evil were seen in very black-and-white terms. Reality, as our protagonist discovers, is more often gray. She is charged with the care of two impossibly innocent and pure children, qualities she feels bound to protect and guard, both in them and in herself. But when news arrives that the boy has been expelled from school for reasons too awful to name, a crack appears in the façade, and her white-knuckled grip on her own narrowly-defined reality begins to slip. The Turn of the Screw follows a young parson's daughter who is hired by a charming man to serve as governess to his niece and nephew. But there is one condition: If she accepts the position, under no circumstances is she to contact him. Whatever happens, it is she who must be responsible. Not long after arriving at the estate, she is confronted by sightings of the house's former governess and manservant, both of whom are now dead. Convinced that these ghosts have acquired an unnatural influence over the children, she engages in what she sees as a battle with the ghosts for the children's souls, with tragic results. Two casts of Eastman voice students will alternate performances and will be accompanied by a small ensemble of Eastman student musicians conducted by Benton Hess, Distinguished Professor of Voice, and Music Director of Eastman Opera Theatre. 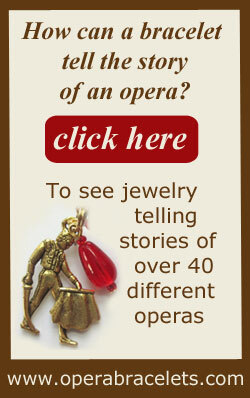 The two-and-a-half-hour production will be sung in English with supertitles. A pristine Yamaha C3F piano was dedicated for use at the Lyric Theater by Opera Guild of Rochester, highlighting an October 1, 2016 performance by acclaimed lyric baritone Tobias Greenhalgh. Greenhalgh was accompanied by Michael Brofman, who was the one of the first to perform on this instrument in its new and magnificent home. 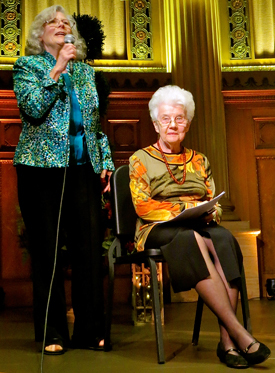 Dr. Agneta Borgstedt and Carol Crocca [pictured left] of the Opera Guild of Rochester proudly announced its gift of use for the piano, pointing out its dedication plaque mounted to the piano. Click here for a photo of the dedication plaque. Joe Heintzman, a long-time Guild supporter and volunteer, now resides at St. Ann's Home. Agneta Borgstedt, Joe Mancini and Guild volunteers gathered there in June to enjoy a video tape of the Annual Recital, and also celebrated his birthday in August. With sadness, the Guild announces the death of Janet Patlow, a founding member of the Guild, on October 1. Mrs. Patlow taught English at RIT, where she met Haskell Rosenberg, the Guild's first president. Mrs. Patlow also contributed to the formation of Mercury Opera. She leaves many friends in Rochester who shared her love for the art form. At a luncheon on Sunday, October 23, Agneta Borgstedt hosted seven of the Guild's dedicated volunteers. Elizabeth Beumer, Lillian Bonanni, Cindy Battisti, Rachel Stuhlman, Joe Mancini, Linda Dunn and Joan Schultz enjoyed the meal and each other's company while sharing ideas about opera activities in Rochester. To donate on-line Click Here.